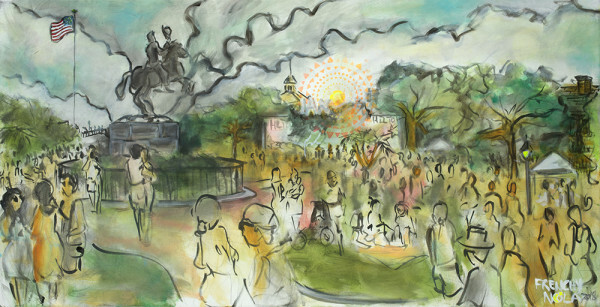 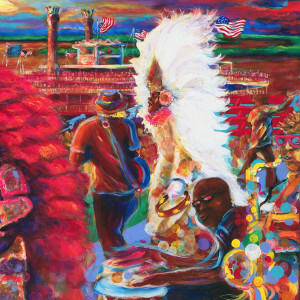 Frenchy was commissioned by the French Quarter Festival to produce the 2018 Official poster to commemorate the 35th Anniversary of the Annual Music Festival. 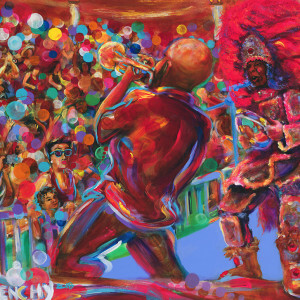 For the 2018 French Quarter Festival poster, Frenchy pays homage to a range of genres and Louisiana musicians. 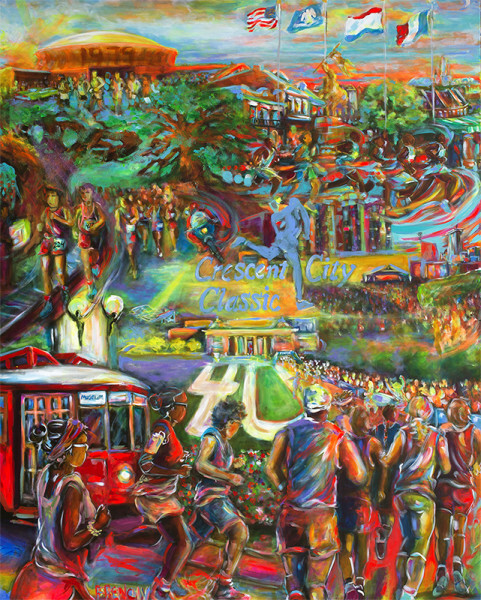 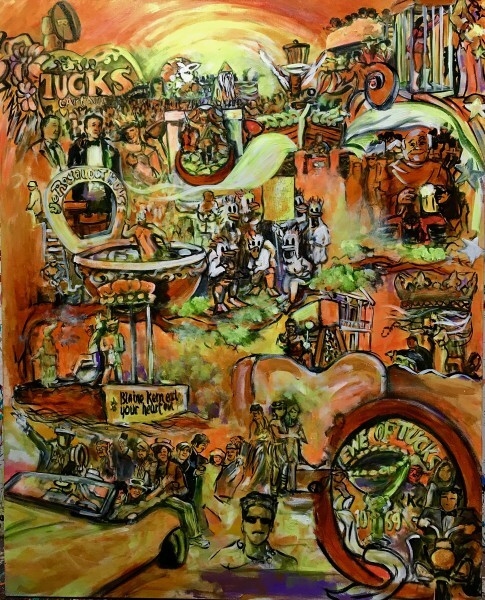 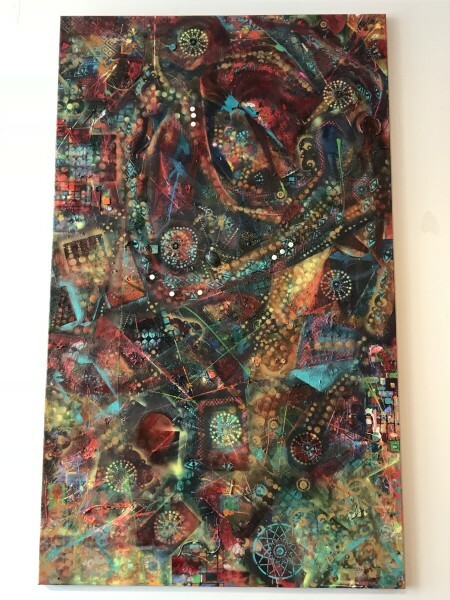 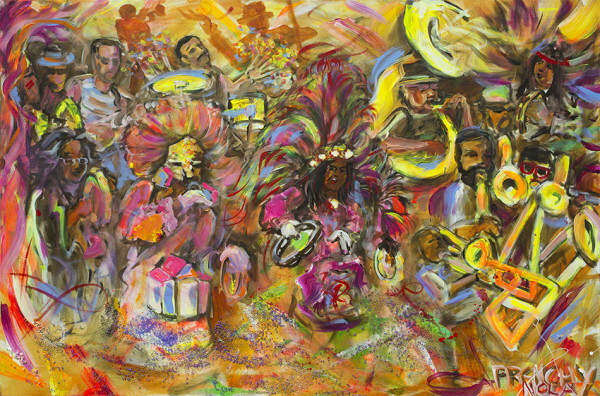 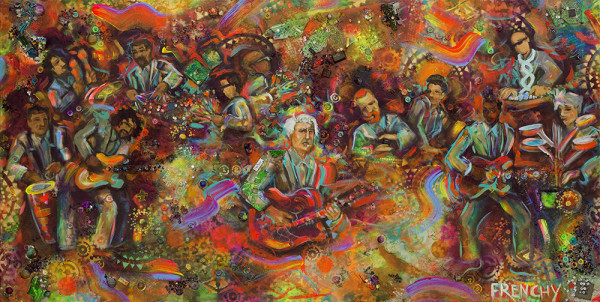 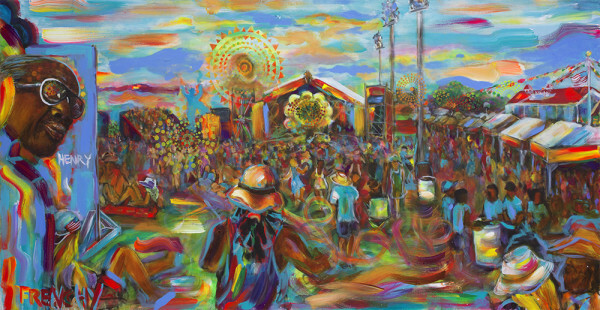 The painting, which captures the energy and beauty of the Abita Beer Stage, features vivid colors and a collage of beloved cultural icons. 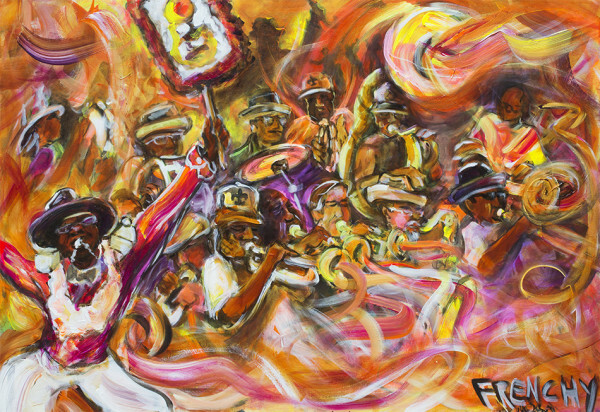 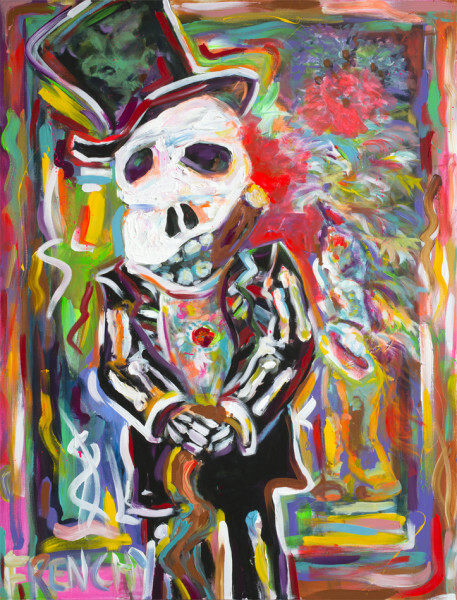 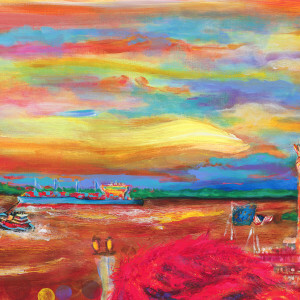 As French Quarter Festival celebrates its 35 birthday during New Orleans Tricentennial, the poster turns this banner year into something timeless and tangible.